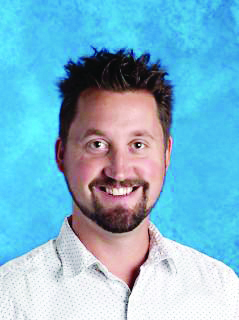 The Livingstone Range School Division has hired a new principal for Granum School for the 2019-2020 school year. On April 3, the division announced Nick Beer was chosen the new principal at Granum School. Beer is currently a teacher at F.P. Walshe School in Fort Macleod and has taught at West Meadow Elementary School, G.R. Davis/W.A. Day Elementary School in Fort Macleod, and J.T. Foster High School in Nanton. He is a graduate of the University of Lethbridge, majoring in math and minoring in science and community health, and received his Masters of Education in Leadership and School Improvement from the University of Lethbridge. According to the school division, over his career, Beer has demonstrated a commitment to leadership, forward-thinking, and collaborative teamwork. He is a trained facilitator of “7 Habits of Highly Effective People” and has been a 7 Habits Lighthouse Action Team leader. Beer has served on the school division’s educational technology advisory committee and won the J.T. Foster Junior High Teacher of the Year Award in 2007. Beer is an avid reader who loves a good mystery, plays and coaches hockey and soccer, and he spends his summers camping and hanging out at the lake with his family.